Today's chapters were full of adventure again !!! Our story began today with Pa putting a real roof on the little house !!! Also placing a wooden floor down in the little house as well !!! Laura described the childrens life as being busy even after chores !!! They spent their day playing , watching and discovering the prairie animals !!! Also how Ma stayed on to her over not wearing her sun bonnet !!! Ma told her and Mary they looked like little indian children they were so brown !!! 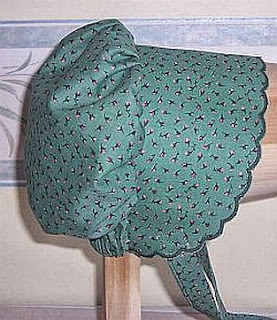 Laura didn't like her sunbonnet because she could only see straight in front of her not all around her !!! Laura asked Pa again when would she see a papaoose! Ma wanted to know why in the worls she would want to see a wild child like that ! The next day pa was gonna build Ma a bed. Ma told him she was out of meat so he would have to go hunting !!! This morning insted of letting Jack go he chained him up to the barn ! Off Pa went . Jack as sad to be left behind ! So Laura and Mary stayed with Jack trying to cheer him up !!! Wasn't long Jack began to growl , Laura thought he may be growling at her and it frightend her ! It did't take long for Laura discovered it wasn't her but two indian men !!! They had gone into the house with Ma and baby Carrie ! Laura told Mary they should unchain Jack ! He would scare the indians away ! Mary reminded Laura that Pa told the under no circumstance not to unchain Jack !!! Laura listened to Mary and the girls darted into the house to find the two men standing in the middle of the cabin and Ma and Carrie by the hearth preparing corn cakes for the men !!! Laura commented of the aweful smell inside the house !!! It didn't take long to figure out what it was from , the two indian men had made a loin cloth out of fresh skunk hides !!! The men ate all the corn cake and took all of Pa's tobbacco and left !! !Ma held the girls close once they were gone !!! Thankful they were safe !When Pa returned they told Pa what had taken place ... Even how they had almost let Jack of his chain !!! Pa told the girls of what bad thing that could have taken place if Jack would have bitten the indian men ! It could have ment Jacks life even worse theirs !!! !